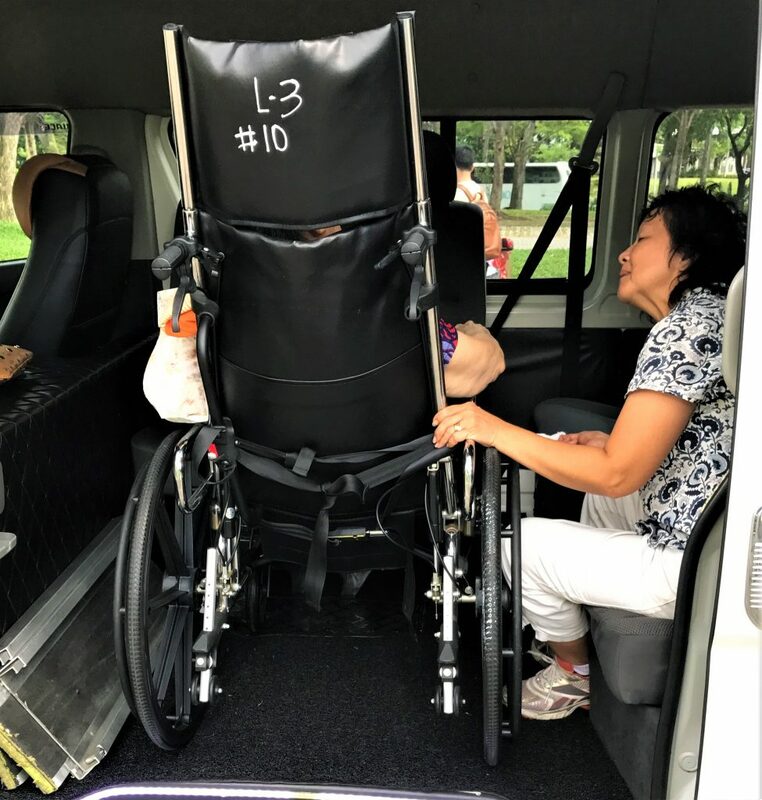 Our 7 seater maxi cab wheelchair transfer Service and our 9 seater minibus wheelchair service are specially catered to clients with physical disabilities. This is the very wheelchair transport service you need when you plan to travel with a wheelchair-bound person. Our fleet of wheelchair friendly cabs and wheelchair accessible transport that you book will not only fit up to 6 passengers and 8 passengers respectively, but also has an individual space for the wheelchair bound person to be mounted onto the vehicle, using a wheelchair transport services Singapore can easily accessible ramp by our competent chauffeurs in a safe manner. This service is available at a very reasonable price for you. Depending on the number of passengers and the vehicle of your choice as well as the type of wheelchair service that you require, we offer very economical wheelchair cab service rates. Most of our request for a wheelchair accessible vehicle are bookings for hospital check-ups, family functions and city tours. To book for a disabled taxi service, all you need to do is to give our handicap cab service hotline a call.